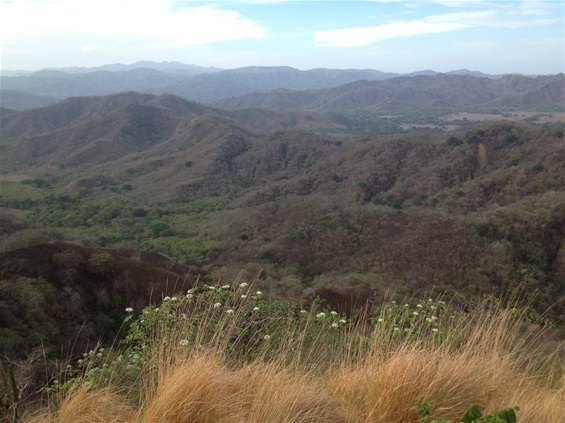 It was already hot at 6 a.m. when we headed up the steep incline that promised and delivered breathtaking views of Guanacaste. Our guide, Edgar, brought along a machete to ward off the unlikely but not unprecedented appearance of bear-sized ant eaters, venomous snakes, and jaguars. Though I could barely keep up with this grandfather who had ridden his bike an hour to meet us before the hike, I relished the experience and the cool breeze that refreshed us on top.